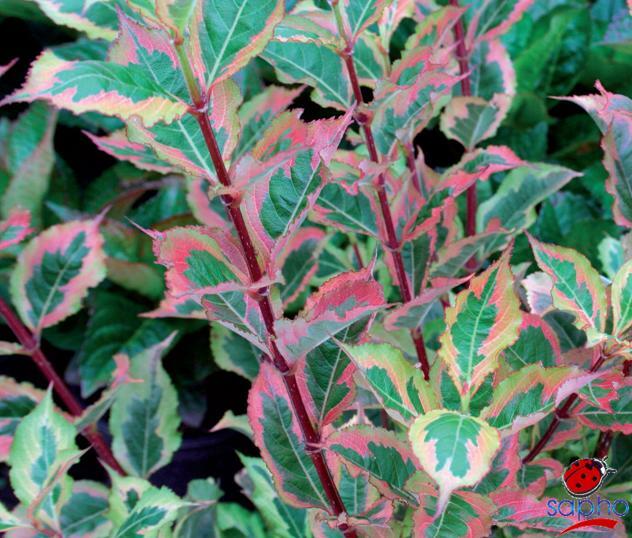 The « rainbow » foliage is very original: green with a wide yellow border and dark pink tints which develop during summer. The relatively wide leaves keep their variegation throughout the season contrasting with the red wood. They do not burn in the sun. 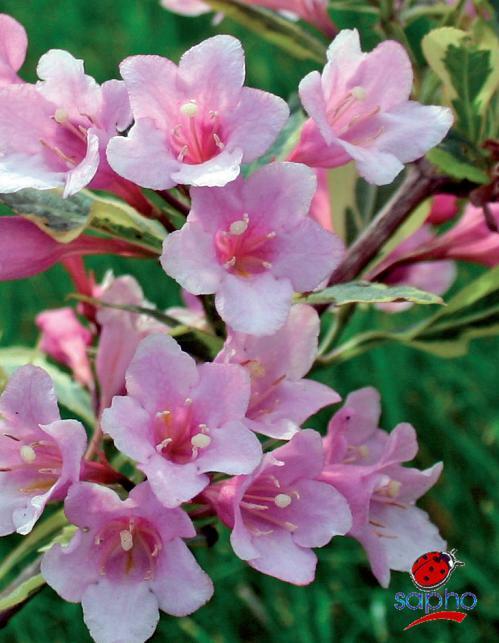 It is a compact and well branched shrub of average vigour.